I love giving a new life to old things, which is why recycled crafts are a favourite of mine - such as this Cardboard Tube Printmaking, Cereal Box Parking Garage, Cereal Box Ball Game, and Cardboard Bus! 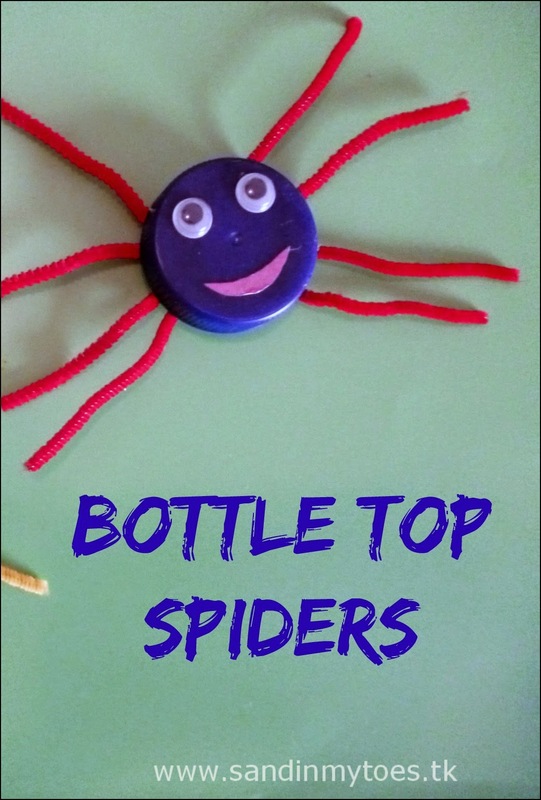 Our newest recycled craft are these spiders we made from bottle tops. I have been collecting bottle tops for a while now, for some day, and am glad that we finally put them to some use. 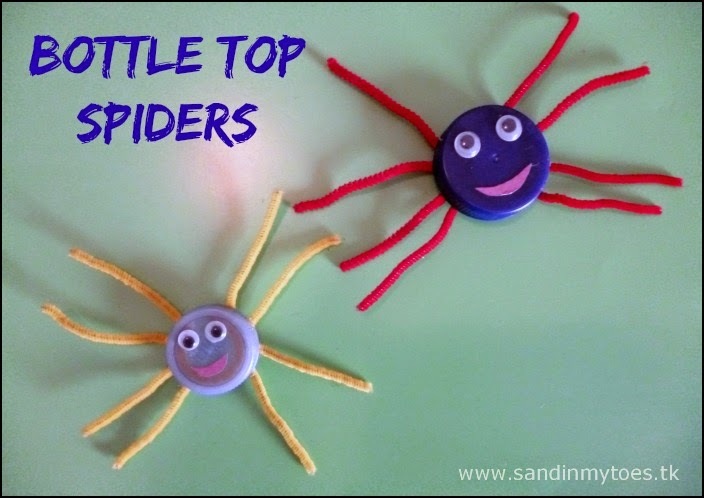 These spiders are really easy to make, especially for toddlers. And they look cute too, not scary at all! 1. Paste the googly eyes on each of the bottle tops. 2. Cut out a mouth from the red paper and stick it on. 3. 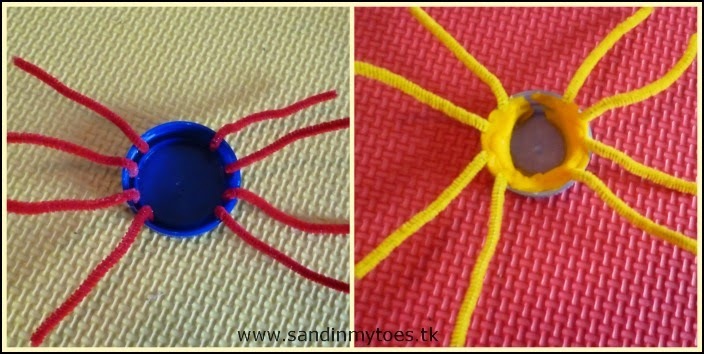 Wait for the glue to dry, and then turn around the bottle tops and glue on the legs of the spiders with the pipe cleaners. Making them stick can be tricky. If glue works for you, or a glue gun, that's fine. I used modelling clay to hold them in place, so they were sturdy! These spiders can be used for playing, or you can hang them in a bug themed bedroom or party, or even make not-so-scary Halloween decor! 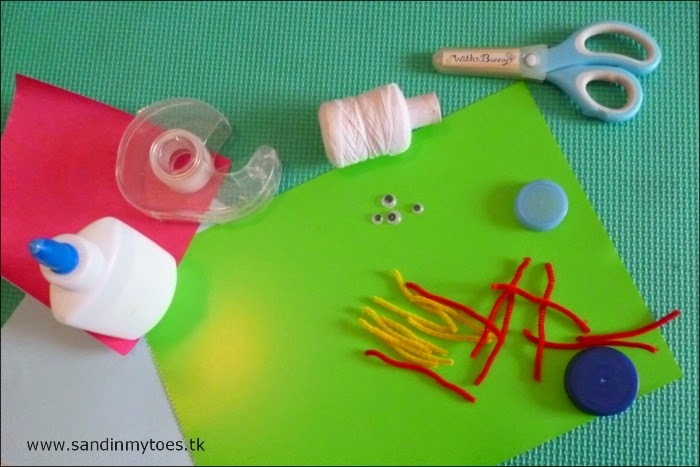 It's easy for little hands to make, and you can create an assortment of colours. 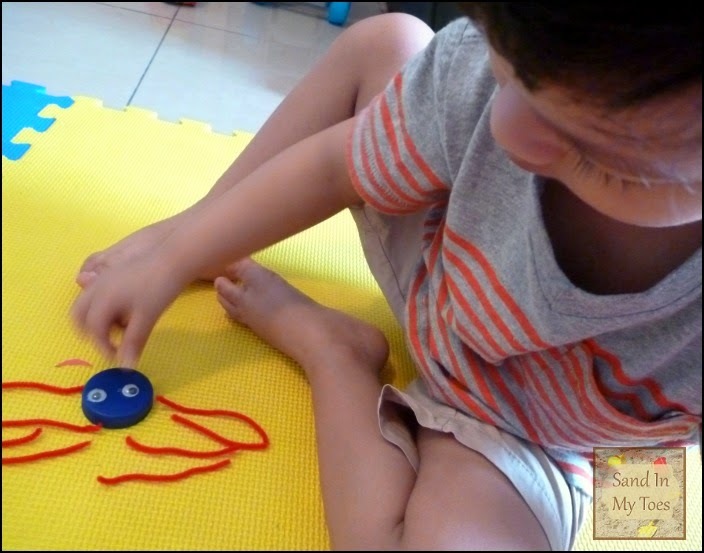 We used these spiders to make an Incy Wincy Spider Craft and do an activity. Read about it here. Thank you, Abigail! My favourite craft shopping spots in Dubai are Daiso and Day To Day. You'll find everything there. Such a lovely idea. I too store things in the hope that one say I'll get some inspiration! 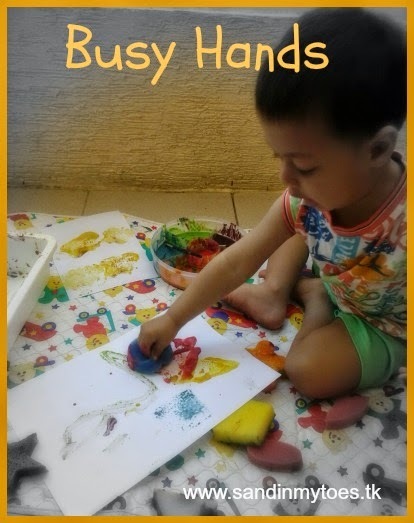 Popping over from #pintorials - this is such a great idea! These are really cute (even if they are spiders), and so simple. Great idea. I love hoarding bits and scraps too!